For spreading and for dissolving in water! Much more than just a nut spread. 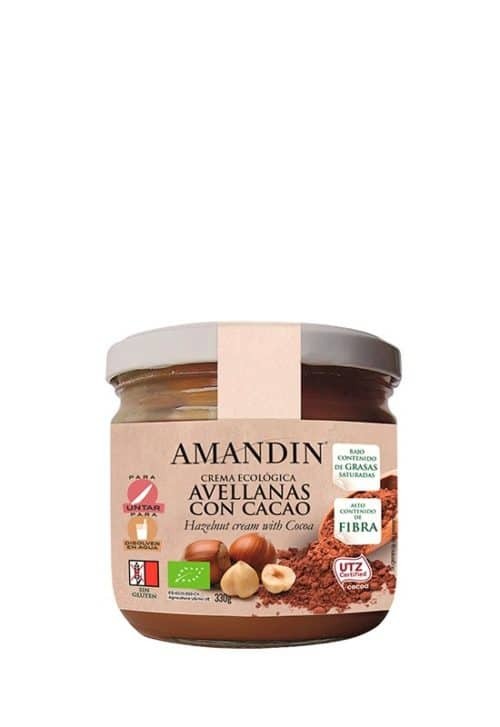 You can spread Amandín organic walnut cream on slices of bread or toast and also dissolve it in water to make an exquisite drink – just dissolve 2 spoonfuls in a glass of cold water. Now in a new format of 330g. Look for it in your store! 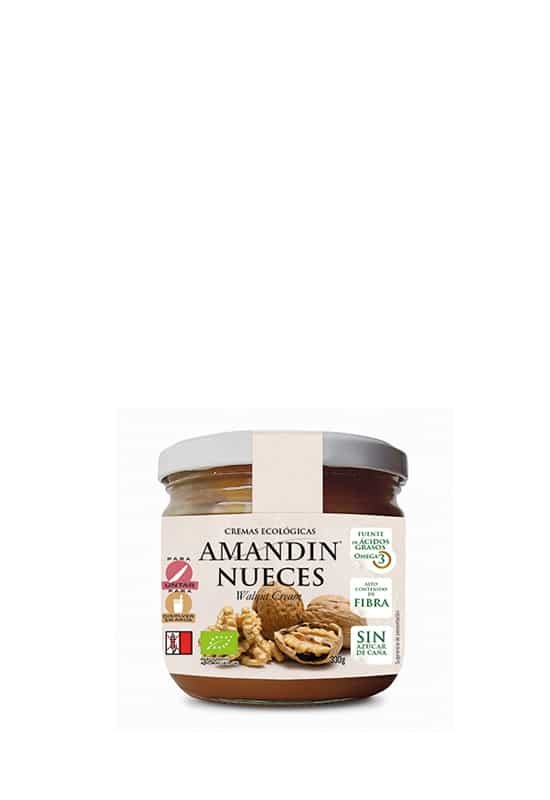 Amandín walnut cream is sweetened with natural rice syrup and agave syrup and contains no cane sugar or palm oil. 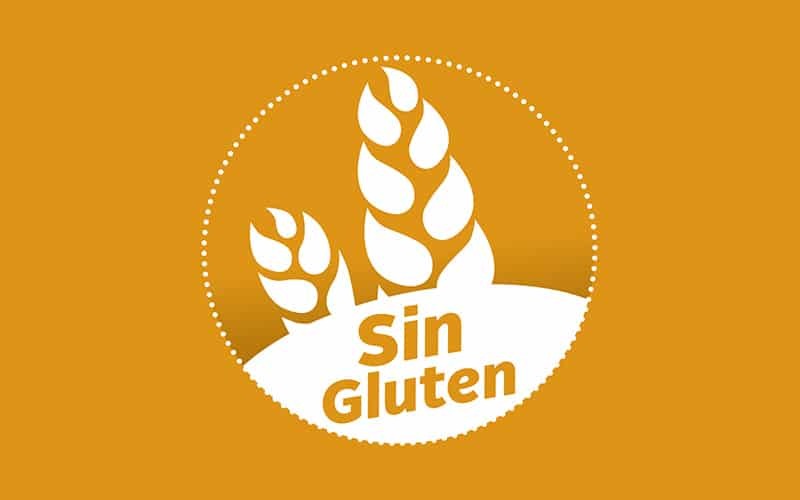 It’s also gluten-free and a source of Omega 3 fatty acids. 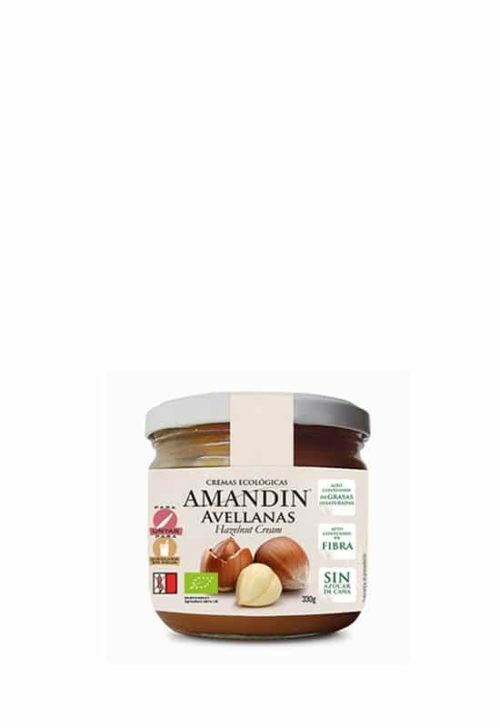 Make all the recipes you want with Amandín organic walnut cream: cakes, shakes, ice creams and more. Check out our recipe blog recetas.amandin.com for some ideas. Ingredients: Rice syrup*, water, walnuts* (22%), inulin*, gelling agent (pectin).